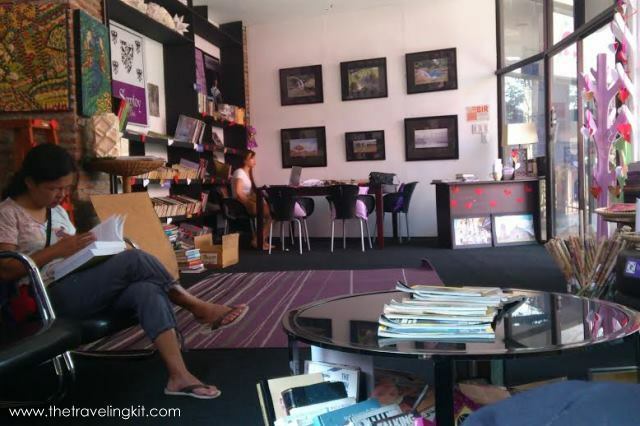 Book and art lovers have a common nook in Laoag City, and it’s called Samtoy Bookshop. On our first day in Laoag, we easily spotted this homey store on the second floor of La Tabacalera Lifestyle Center. If you happen to get lost in the city, you will definitely not miss this building as it’s close to Museo Ilocos Norte and Laoag Tourist Center. Though Samtoy Bookshop is a totally different business, the place reminded me of Turtle's Nest in Cebu because of my pro-RH (referring to the beer), wide reader friends frequenting (or who used to frequent) the pub. I never bothered to ask the in-charge what 'samtoy' means in Ilocano. Luckily, as part of the city's Pamulinawen Festival this month, there is a group of sculptures displayed at the provincial capitol. They represent the inhabitants of the region (Ilocos Norte, Ilocos Sur, Abra and La Union) renowned for its gold mines during the pre-hispanic era. They called their place 'samtoy', a short term for "sao mi ditoy", a phrase that literally means "our language". After reading the sculpture description, I came up with my own conclusion: Samtoy Bookshop aims to share with its visitors the rich history, culture and literature not only of Ilocos Norte but the entire Philippines through the power of the written word. It's an artsy site that encourages us to look back and appreciate who we are and where we came from. 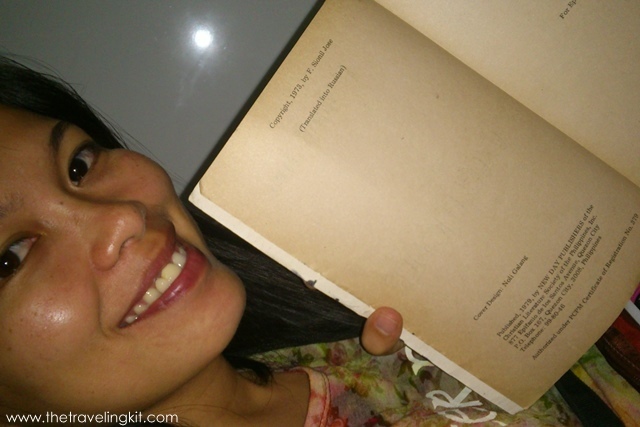 I observed about half of its displays are books written by Filipino authors and poets - from the second-hand, 1973 edition of "Imelda, Ang Ulirang Unang Ginang" by Leticia S. Guzman Gagelonia to the new books printed by the publishing companies of the country's reputable universities (e.g. UP, AdMU, UST). The best thing about this nook is that you can simply hang out there and read on a comfy chair for only P5.00 per hour. If you wish to take a break from flipping pages, you can check the artworks displayed at a corner or the local photographers' snaps of Ilocos Norte's tourist spots. This is where we first saw a sunset view of Currimao, a gem we unexpectedly found during our one-month Ilocos journey. If only I lived in Laoag, I would be definitely one of the members of Samtoy Book Club because they advocate three things my heart has a huge spot for: art, tourism, and learning. But since we're definitely going home to Davao, we just bought three books from the shop - a very old copy of F. Sionil Jose's My Brother, My Executioner, The Philippine Legends, and The Philippine Myths. Yep, our backpacks are three books heavier, so I hope they won't end up gathering dust in our shelf.